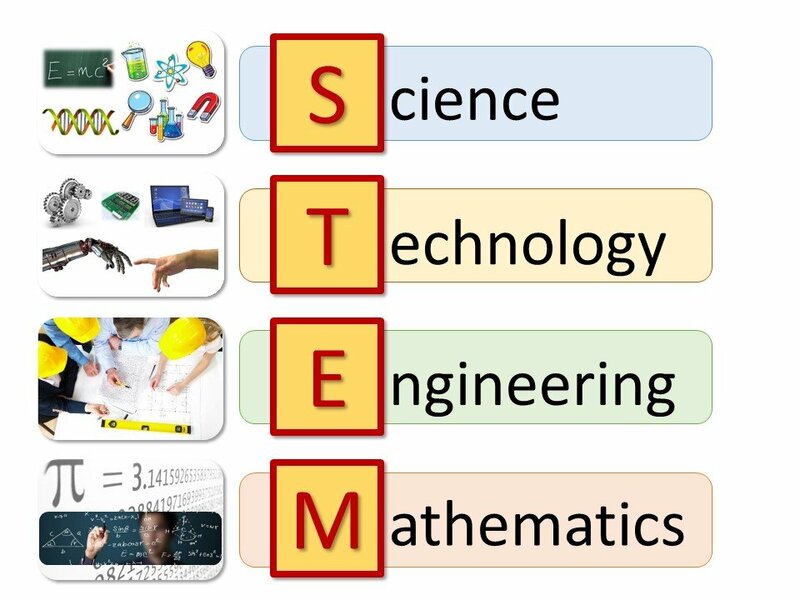 Science, technology, engineering, and math (STEM) skills are essential for success in the modern world. Even in fields not directly related, the skills developed through STEM learning—such as trial and error, problem-solving, and critical thinking—are a big part of almost any career, not to mention having the potential to significantly boost income! Recent research into the key motivators and beliefs for kids ages 11-17 surrounding STEM topics found that interest peaks at a younger age, but dwindles as kids get older. Additionally, research has also shown that gender stereotypes relating to math being a “boy’s subject” can set in as early as second grade. In order to prepare kids for life in this rapidly-changing world, as well as break down harmful stereotypes, we should teach them these essential skills sooner rather than later! There are a plethora of methods out there for teaching STEM skills to kids. However, due to the nature of the subject, a lot of the available kits are prohibitively expensive, especially so when it comes to engineering, computing, and robotics. Conversely, there are also tons of resources out there for kids to develop STEM skills through hands-on DIY activities. Below we highlight our top four activities for kids to learn science, engineering, and math using waste or upcycled materials! 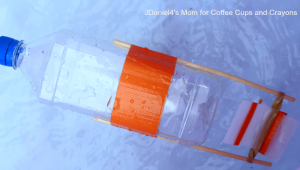 There are many different guides available for kids in different age groups to build their own miniature boats. We love the two builds below because they are almost entirely made out of recycled/waste materials. Additionally, there are also various ways to extend the activities for more advanced learning. The first is the plastic bottle paddle boat. This simple little boat is powered by an elastic band mechanism that works with a paddle mounted to the rear to propel the boat forward. This activity is a great way for kids to learn some basic engineering skills. Plus it can also be used to teach physics concepts like potential energy. But the fun doesn’t have to stop there! There are lots of ways to extend this activity and develop more skills. For example, students can try to make the boat travel faster or further by modifying the initial design. They can change the hull to make the boat more streamlined or increase the paddle size. Have students formulate a hypothesis, test it by carrying out an experiment, and record their results. Then explain the results with science! Get the build instructions here. The second option is the stick raft, which is a great activity for different reasons. Before building their rafts, students will need to plan out the design. Then they’ll need to go outdoors and forage for the raw materials! Once built, they can then develop trial and error skills by floating the boat and perfecting the design. Like with the paddle boat, there are many different ways to extend this project. For example, you can add a sail for more speed. You can also split students up into groups and set a challenge for who can build the raft that can hold the most weight. This is great for learning teamwork and collaboration. The next two vehicles are quite similar to the boat activities above, but they’re built for land. The first is a simple activity that’s perfect for young learners. It is almost entirely made out of used plastic bottles too! The car is driven by a rubber band-powered fan on the back, so it’s another good way to learn about potential energy. Similarly, students can also try to modify the car to increase the speed or distance it can travel or just for fun! For example, get them to change the wheel size, shape, or material to reduce friction against the floor. Older learners can then measure and record their results, using the speed = distance/time equation to calculate the speed. 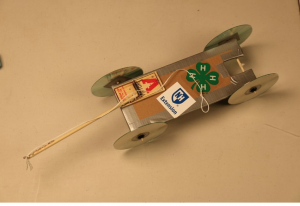 The mousetrap car is a classic science project that you may have encountered before. It is more complicated to build than the rubber band car, so it’s a good choice for older students. The only downside is you will most likely need to purchase more materials. At the center of the vehicle is the mousetrap, which powers movement by converting stored energy in the spring mechanism into kinetic energy. For more information on this aspect, check out this fantastic article on the physics behind the mousetrap car. Basic structure aside, there are tons of variations online for different builds that aim to optimize the car for speed or distance. Students can also keep working on their cars and making improvements to reduce friction, increase traction, or maximize energy transfer from the spring to the wheels. Here are some awesome suggestions! Research shows students engage far better when their learning has a purpose. As such, the interactive activities featured here can provide a fantastic way to complement the curriculum and improve the learning experience, but without breaking the bank. For more details and ideas, see this list of the top DIY STEM activities for kids. This is a guest blog by William Asbury. William is the founder of STEMtoyexpert, an educational resource designed to improve STEM learning and awareness for all age groups.